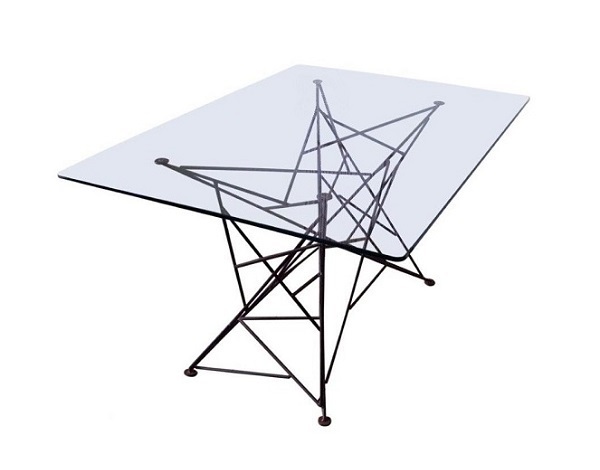 Web metal dining table is light and contemporary. This designer table will look great in any dining room but will also add style and function within a contemporary kitchen. 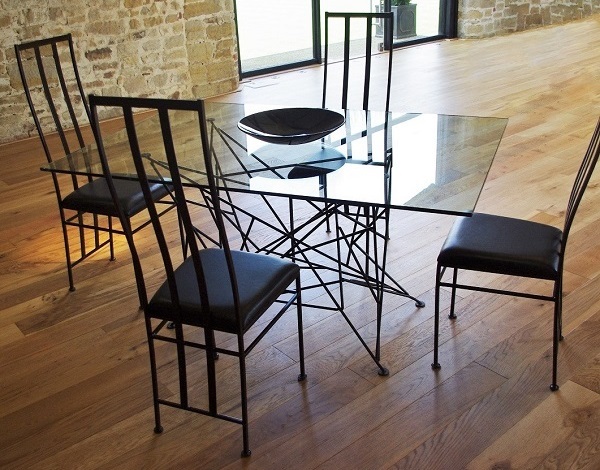 If you’re looking for designer dining table with a really modern feel then look no further. 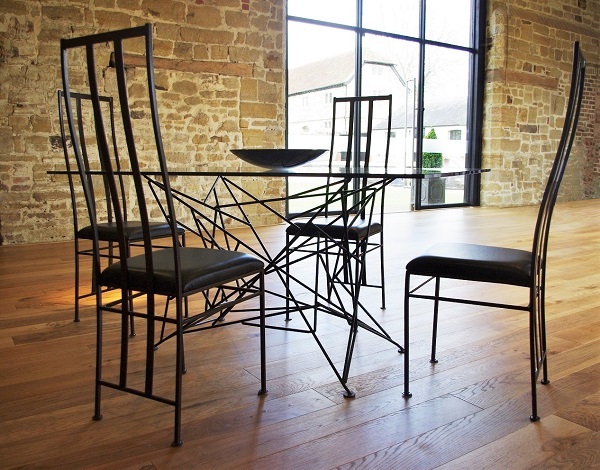 Each table is completely unique as this designer table follows no rigid design construction. A framework is laid out for each table base then all the subsequent bars are randomly positioned and secured into place. The glass top reflects light through to the web-like design of the table base. It is available in 2 sizes allowing comfortable seating for six or eight people. Table dimensions in (cm) H 75 | W 100 | L 160 (seats 6) and H 75 | W 110 | L 220 (seats 8). Table Top: 12mm or 15mm toughened glass with rounded corners. Table base: Available in mirror polished stainless steel, blackened steel or paint finished in metallic bronze or nearly black. Table base is of steel construction with a height of 75cm. Available in mirror polished stainless steel, blackened steel, metallic bronze or nearly black paint finished. Table Top: 12mm or 15mm toughened glass with rounded corners. Dust base regularly and only if necessary, wipe clean with a damp cloth, buff after with a dry cloth. Avoid placing sharp objects on glass top to prevent scratches. Free delivery within the Uckfield delivery area (up to 40 mile radius). Outside of that from £50. Please contact the office for a quote on delivery prices.